I really enjoy conducting interviews with folks who might not do many interviews, or folks that are off the beaten path of popular music (and by that I mean ANYTHING that is popular, classical or rock related). I also really like doing interviews where the music has some higher purpose or a greater context. 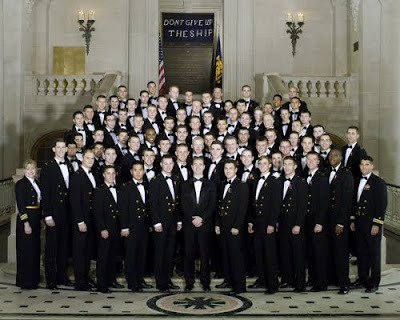 This interview with Bay Area native Sam Strelkoff, member of the Naval Academy Men's Glee Club, is the second interview I've done with someone who is in the world of the military (read my interview with Marine Band Staff Sergent and friend clarinetist Harry Ong) and I find the perspectives of these individuals very inspiring.